Buying your first horse is very exciting, and it is an important decision and commitment. If you choose a horse that is unsuited to you, you may be in for a disappointment or even serious injury. Are you buying a horse for the first time? Here is a first time horse owner checklist covering how to buy a new horse and what to look for in a new horse. In this article, we will go over some important information to help you choose just the right first horse. Read on to learn more. 1 Can You Afford A Horse? 2 Where Should You Look For Your First Horse? How much you spend on your first horse can vary a great deal depending upon the age, breed, gender, size and training of the animal in question, and that‘s just the start of the cost of owning a horse. 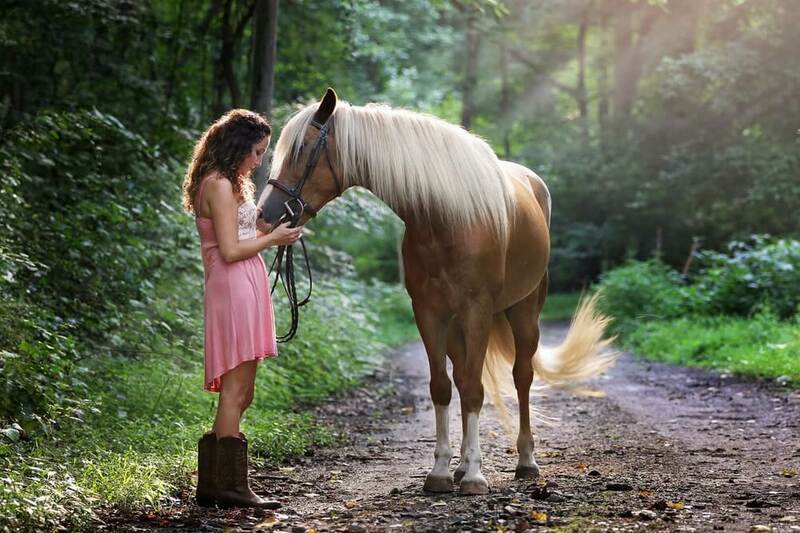 Your horse will depend on you for feed, hay, veterinary care, farrier visits and more. You’ll need to purchase equipment, clothes, gloves, tack, fly spray and various and sundry items on a regular, ongoing basis for many years to come. Equine medical insurance is also a very good idea to help defray unexpected medical costs. Where Should You Look For Your First Horse? If you’ve been learning to ride at a stable or school and have a favorite horse there, find out about its breeding and background. In fact, you may even wish to ask if that horse is for sale. You’ll never know unless you ask, and purchasing a horse you already know and love is a very good thing. If that’s not a possibility, getting a similar horse will allow you to build confidently on the skills and abilities you have developed. Just remember that your new horse is an individual in its own right, so don’t expect it to be exactly like the horse you learned on just because it is the same breed. 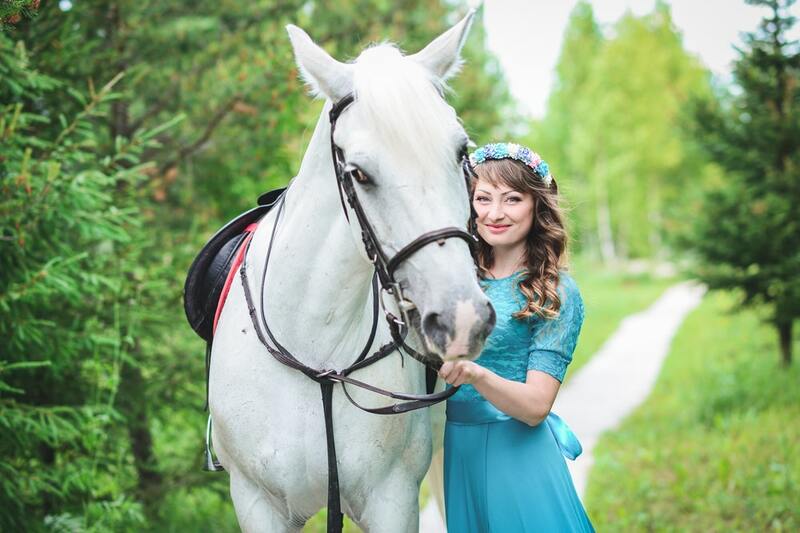 Often, you can find a nice, gentle, experienced horse just by checking local newspapers, bulletin boards, online forums and horse and pony clubs. People who feel they have become too old to ride, students leaving home for college, people relocating for work and so on often have nice horses to sell at a reasonable price or even to give away. Matching yourself up with one of these horses may very well save the horse from auction and/or slaughter. If you are looking for a specific breed, a reputable breeder is an obvious source. Professional breeders take proper care of their animals and keep accurate records because they want to maintain their good reputation. You may pay more, but if you are set on a purebred animal, this is a safe option. When looking for a quiet, well-trained, mature horse of any breed, look into breed specific rescues. You may be able to find a very nice, sound, well-trained older horse for a very small adoption fee or donation. You may or may not be able to get registration papers with a rescue, but if you are just riding for pleasure and not showing this should not be a consideration. Avoid going to horse auctions because you may feel very pressured to make a snap decision. Very often, horses sold at auction are not sold with complete or even honest information regarding training and history. Horses sold at auction may very well be stolen, and “problem” horses may be drugged to mask unacceptable behaviors. The same caveats go for many horse dealers. People who make a living picking up “free to good home horses” or inexpensive horses and reselling them for a profit can be considered a bit sketchy. All-in-all, you are much better off working directly with an individual who has owned the horse for a significant period of time, an established breeder or a properly licensed and certified rescue. If you are not skilled and experienced at evaluating horses, you should take someone along who is. Even if you are confident in your knowledge, it is good to have a helper on hand who can act as a sounding board, give you a second opinion and assist you throughout the process. Begin by observing. You’ll want to look at how the horse moves independently and what sort of temperament he seems to exhibit on his own. A good tempered horse gets along well with its pasture mates. A horse that kicks or bites his pasture mates may do the same thing to other horses in group rides or even to you. 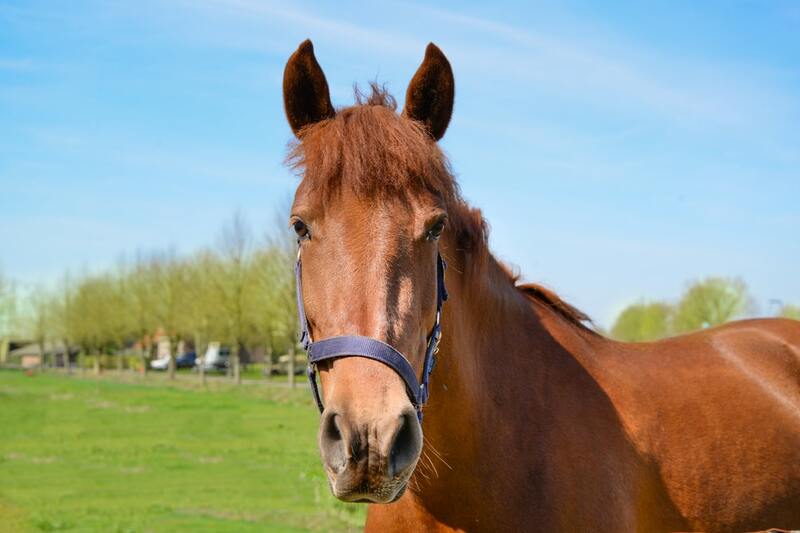 While you are observing, talk with the current owner and find out why he or she is selling the horse. Ask about the horse’s background and training. Encourage the seller to share any anecdotes concerning the animal. This will give you a feel for both the horse and the seller. If the horse is being kept at a boarding facility, discreetly ask others for their observations of the horse’s behavior. Make sure all is in order regarding the horse’s health. Ask for certification of vaccinations, worming and Coggin’s test. Look the horse over for signs of illness such as labored breathing, shortness of breath (heaves), rubbed tail base (pinworms) or any other obvious problems. Also, keep an eye out for unevenly worn hooves or shoes, injuries, scars and blemishes. Observe the horse carefully to determine whether or not he sees and hears well. Are his eyes clear and bright? In addition to looking at the horse, you should also examine his or her quarters. Examine his stall to see if he has any bad habits. For example, does he kick the walls? Are the floors worn in patterns indicating pacing or weaving? Is the woodwork chewed, indicating cribbing? A horse who kicks, paces or obsessively chews the woodwork is an anxious horse. He will be prone to physical and mental difficulties going forward. If you decide that you are interested in the horse, it’s time to begin handling him. Be sure to do everything with the horse yourself. If you can catch him yourself, that’s best. Watch the horse’s ears and expression. A horse who is ready, willing and eager to work with you will have his ears pricked forward when you approach. He will make eye contact. A horse who wants to interact is easy to catch. While the horse is still in halter, lead him yourself and have the owner or your helper lead him so that you can observe how he moves both at the walk and the trot. The horse should be sure-footed and step evenly on each foot with no signs of lameness. If the owner tells you that the horse has recently had shoes put on or removed and that’s causing lameness, bid him farewell. That’s just nonsense. Adding or removing shoes should not cause lameness. Stroke the horse all over, groom, feed (if it’s feeding time), tack up. If you arrive and the horse has already been caught, groomed and saddled, take the saddle off. Walk the horse around, groom him again, tack up on your own. You want to be sure you’ve seen the whole horse and handled him thoroughly before committing to purchasing him and adding him to your family. Note that if you are not able to do this handling on your own, you really have no business looking for a horse of your own; however, if this is the case, be especially sure to bring along a skilled and experienced advisor who will not only help you evaluate this horse but also commit to helping you learn the ropes on a long-term basis. Having someone knowledgeable “on the ground” is an essential for both safety and success for an inexperienced horse owner just starting out. Once you’ve examined, groomed and saddled the horse, it’s time for a test ride. This should be undertaken in an enclosed area such as a corral or arena. Start out slowly so that you can get the feel of the horse and vice-versa. Walk, turn, stop, start and back. When you are ready, proceed to the trot and canter. If all this goes well, and you feel confident, ask the seller to open the gate so you can take the horse out and see how he does around distractions such as bicycles, cars, dogs, etc. If you are pleased with the horse, you may wish to place a holding deposit if the seller will allow it. This will give you a chance to “sleep on it” and then come back and repeat the process a time or two more at different times of day. This careful process will ensure that you really know exactly what you are buying. When you are sure, ask your veterinarian to come and examine the horse for final approval. A good equine vet will perform a complete pre-purchase examination (PPE) which will give you a very clear picture of the soundness, strengths and weaknesses of the horse you are considering buying. A PPE can clue you in to hidden problems (or potential problems) such as weakness that could eventually cause lameness, asymmetry in the pelvis and other things you should know about before committing. Here is a handy guide that explains the PPE procedure. Before you make your final commitment, take stock of yourself and your situation. You must be absolutely certain you have what it takes to engage in this long term relationship. Are you really experienced and confident enough to own and care for a horse? If you lack experience, do you have someone close at hand who is experienced and is ready, willing and able to help you? Owning a horse is about much more than riding. You need to be able to handle the horse on the ground and in the saddle. You must have the confidence to hold your horse for the farrier and the vet. You need to be able to groom the horse and tack up on your own. Unless you plan to keep your horse at a stable where these services are provided, you’ll need to feed daily and maintain your horse’s living space. If you are a novice rider and haven’t had experience with all of these things, you should take lessons and take the opportunity to learn about and practice general horse care on a regular, ongoing basis for a significant period of time before you make the decision to take on the care, feeding and management of a thousand-pound animal. Make certain you will have the time to care for your horse properly. Taking care of a horse can take several hours a day, and they should be hours you’ll look forward to and enjoy. If feeding, watering, grooming and stall cleaning every day sounds like too much work for you, don’t buy a horse. Once you’ve decided to purchase, be sure to get a detailed bill of sale that describes the horse and the amount you have paid. The horse’s registration information should also appear on the bill of sale. Be sure to compare the images and description on the registration paperwork carefully with the horse to be certain you are getting what you’ve paid for. Make sure to get all transfer arrangements in written form, and mail all pertinent information to the registry yourself to be certain you are properly listed as the new owner. If the horse has a passport, check it against the animal and other documentation to be sure you are getting the horse you are paying for. A passport should clearly state the horse’s breeding, age and previous owners. It should also inform you as to the vaccination history of the horse. Be sure to ask the seller about former injuries and illnesses. Remember that buying a horse that is not appropriate to you can result in dissatisfaction at best, dire consequences at worst. Take your time and look at several horses before making your decision. If you find yourself having little doubts as you observe and work with the horse, pay attention. If you feel unsure now, your feelings are not likely to change after you own the horse. Remember that you are entering into a relationship. Refer to your knowledge, skills and abilities, and trust your gut. Remember that temperament and training are more important than breed in a first horse. Don’t take on a horse that is more than you can manage or less than you hoped for. If you’ve taken the time to attain at least a basic knowledge of horsemanship and done a thorough job of examining, evaluating and comparing possible mounts, you will be able to make a wise choice from the horses available to you, regardless of breed. Here’s a video with some good advice on buying a horse. As a side note it looks like this gentleman’s horse tends to “blow up” when the saddle is being cinched, leaving him with a loose girth. Note how he shifts in the saddle frequently during his presentation. Many who left comments below the video also opined that it looked as if his saddle was about to end up under the horse! Nonetheless, the advice he shares is very sound! Thank you for taking the time to compile this extensive checklist. We are looking at buying now but, with your list we realize that there are more steps that we still need to take in order to be truly ready and safe.